November 2015 – Miss Rita to the Rescue! 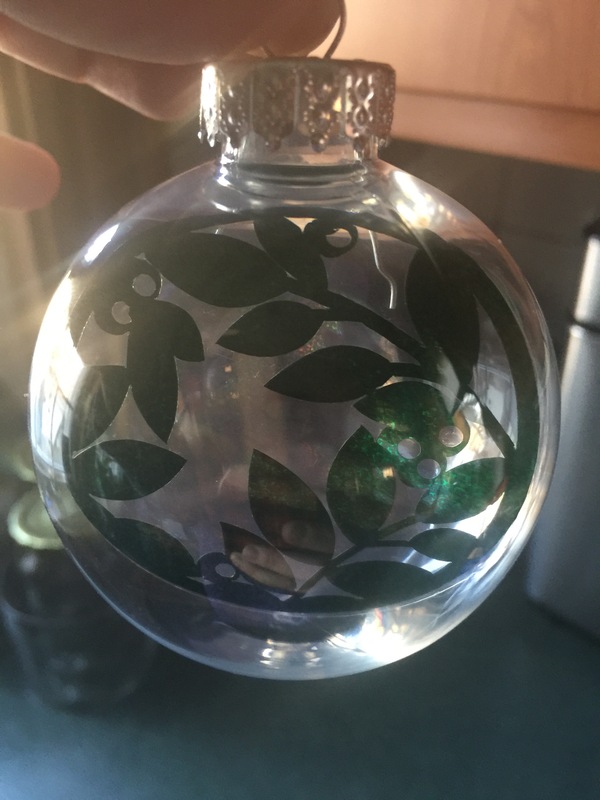 Last week saw a tutorial for Christmas Ornaments that didn’t require using glitter or polyurethane or waiting and I made a mental note to play around with the idea. Here is what I came up with. Please note: This is NOT my original idea. I could not find the original tutorial. In an effort to explain how it works to my Facebook Group: “Cricut Newbies and Pros”, I slapped together this tutorial. I apologize for the rush job, but it is just before Thanksgiving and I’ve got a million things to do. 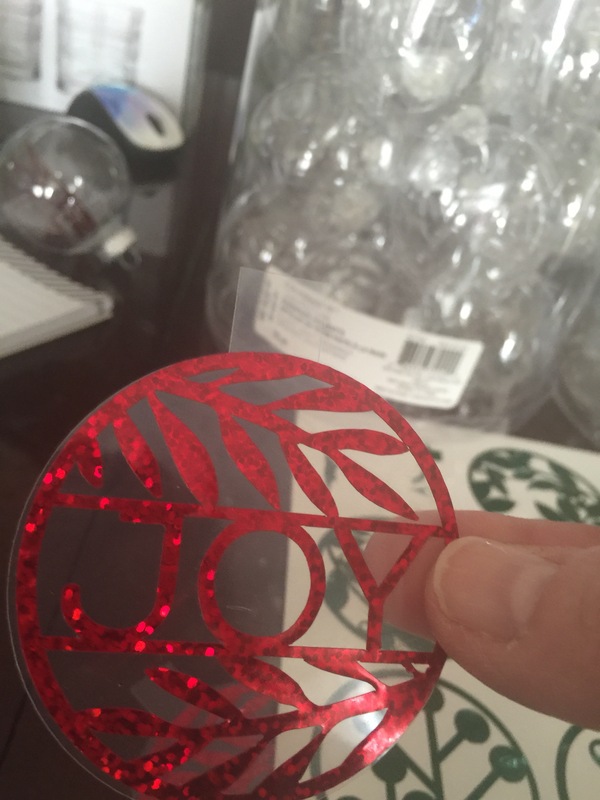 So here is a Floating Glittery Christmas Ornament and it was made–on the cheap–with my Cricut Explore and a few, easy to find materials. 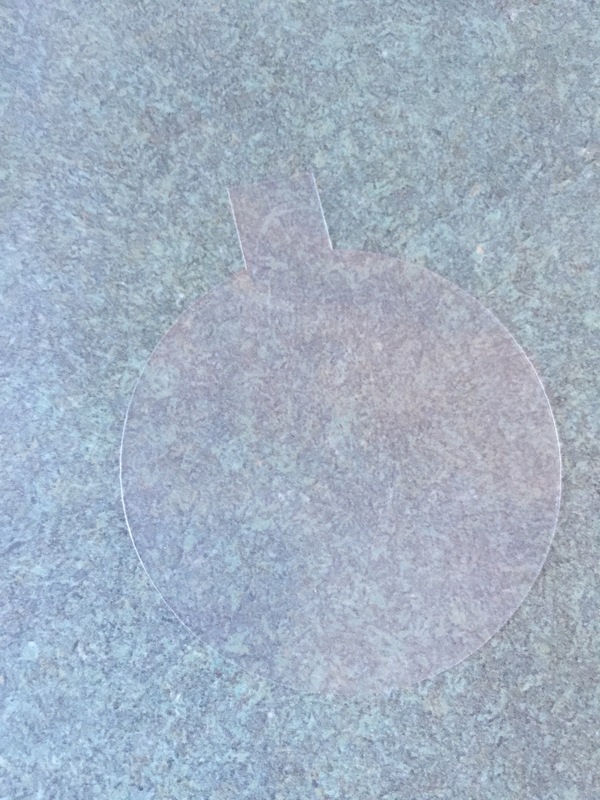 Transparent acetate OR the cover to your Cricut mat! After weeding, adher your glitter to the acetate making sure the image does not overlap on your acetate. You may want to use transfer tape. 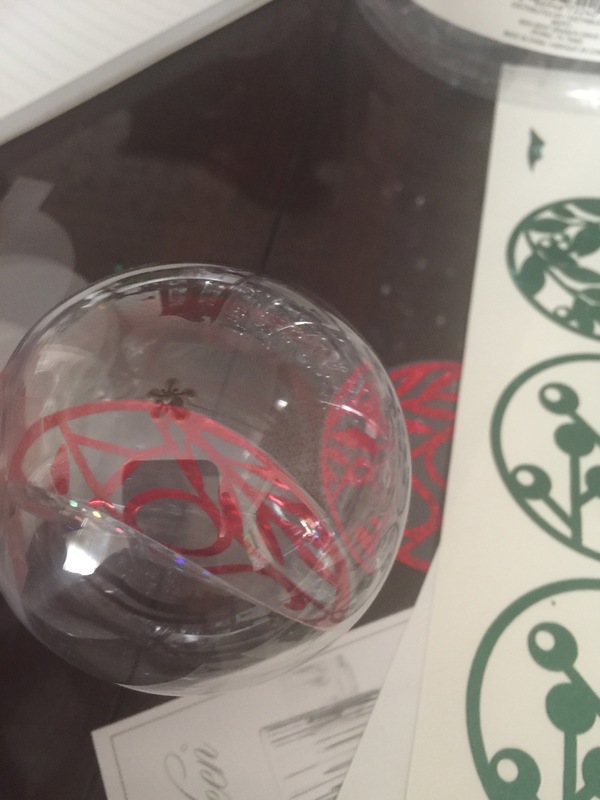 Make sure the square part is “last in” so it will be at the opening of the ornament. 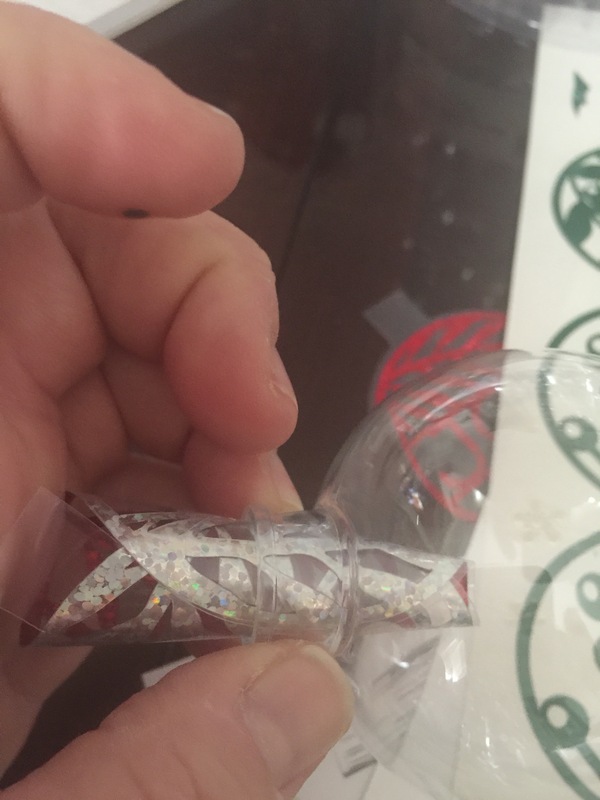 Release the roll inside the ornament. 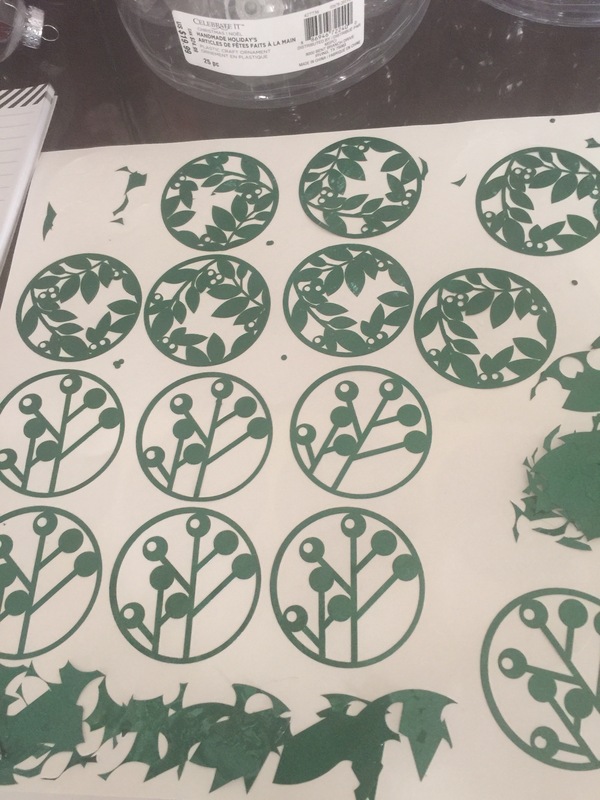 The acetate will unfurl, but you may want to use tweezers or another tool to adjust it so it is right in the middle of the ball. That’s the “floating” part. Replace ornament top or you can add glitter for more effect. Add a bow if you’d like, too! And that’s it folks! Super easy!! Kid friendly and very inexpensive to make, too! I hope you try it and let me know what you think. How exactly do we “support” our troops? Happy Veteran’s Day to all of our military personnel and their families! Thank you–most sincerely–for your service! If you are a veteran, there’s all sorts of freebies out there for you today, which I think is wonderful! Please, vets, take advantage of a free meal or an extra discount! I think it is the least we–as a country–can do for our military personnel, both past and present. I love it when I see that companies extend discounts to our military personnel; just a little extra “thanks” that shows a certain amount of class. But for a while now I’ve been ruminating on the “Support Our Troops” campaign. How can I–one citizen–offer support and thanks to our military personnel. Furthermore, how exactly does someone “support our troops”? I guess the meaning of this is lost on me. Curious person that I am, I have tried to research ways that I can personally lend a hand in my daily life. I followed links to volunteer my service, but they led no where. I reached out to my local congressman–a veteran himself–to find out how I could somehow help the cause, but received no response. Together with my son, I’ve cleaned up cemeteries and righted every fallen flag I’ve seen. I’ve asked vets about some of the campaigns I’ve noticed, but nothing has ever panned out. Going straight to the VA hasn’t even worked. I’ve not served in the armed forces. I chose, instead, to go to college. I am grateful that I had the choice. In many countries, military service is a requirement, not a choice. I’m truly grateful for those who have given their time, and in many cases their lives, for the freedom I enjoy every day. And, believe me, I DO indeed enjoy my freedom! The important issue of freedom has not been lost on me. I have never taken for granted my freedom, which was won and has continued to be defended time and again for over 200 years now. I love that I can be free! I really do!! I love that I can read or think or speak about issues and not be censored. I love that I can worship any way I please. I’ve always appreciated the phrase “and the pursuit of happiness”. No guarantees, but always free to try and reach that goal of happiness. But…I want to show my support! I want to thank every veteran I meet for their service…not just today, but every day. I want to help and be a part of being an American. But, honestly, I’m beginning to feel like the only thing I can do is pay “lip service” to the cause. What more can I do to help? This is an honest question. Where can I be of service for real? I am full of questions and I’m longing for some answers. Have you got some advice for me? Have you struggled with the same issues? Today I thought I’d take a little break from all the deep thoughts, politics and family dramas and do a little DIY (Do It Yourself) project. This is a super easy one and a fun seasonal project for the kids, too! Ever wonder how they get those huge pumpkins into those small cans? I have, especially after hearing reports of bad pumpkin seasons and noticing the rising price of the canned goodness. Perhaps you don’t think about it too much, because you may only use pumpkin once or twice a year, but I’ve always been a pumpkin fan so I find different ways to use it year round. 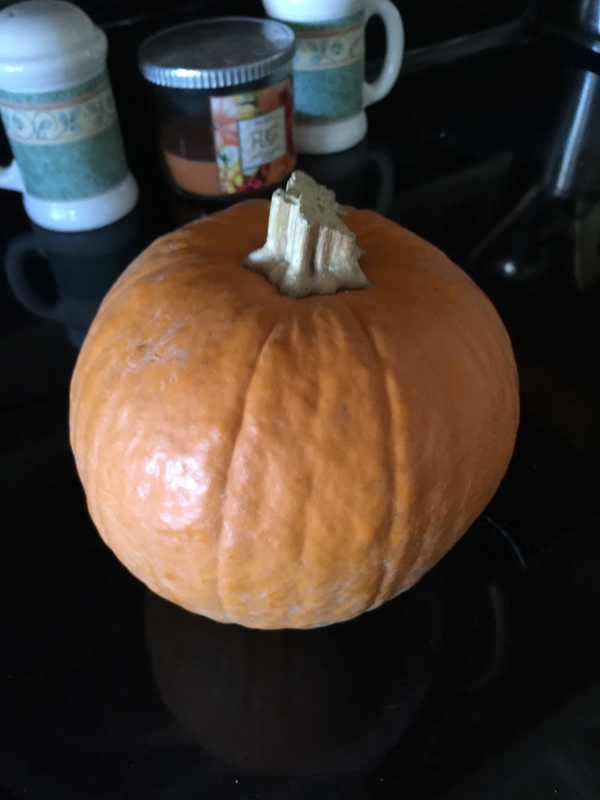 A couple of years ago, I tried experimenting with some rogue pumpkins that grew in my yard after I discarded a jack of lantern for mulch in my hydrangeas. My tiny crop yielded a half dozen small pumpkins, so I decided to experiment with them. 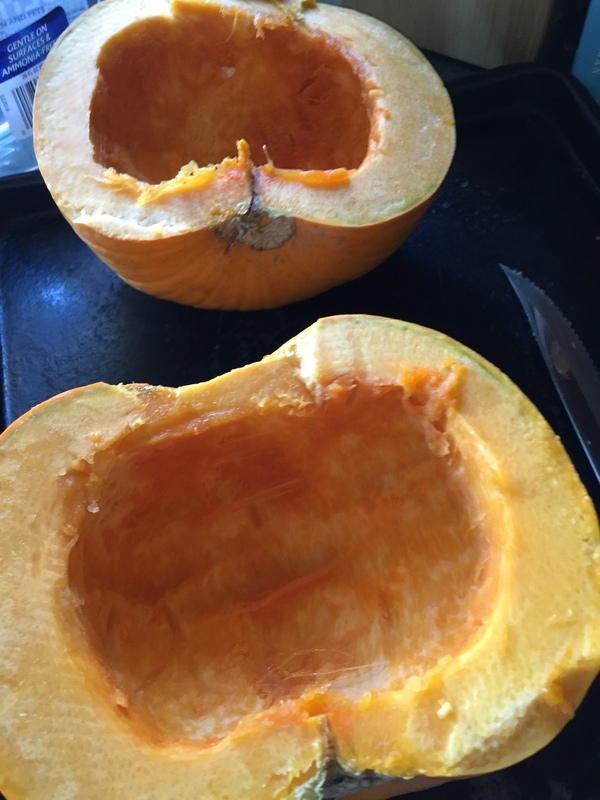 Learn from my mistakes…if you want to get edible pumpkin flesh follow my easy and perfected tutorial. Remove the stems and cut them in half lengthwise. Using a spoon, scoop out all the seeds and the membranes, which you can save for later. Place the scooped fruit (yes, pumpkins are fruits…actually berries!) cut side down on a baking sheet. I was able all four halves on my sheet. Oh, by the way, no need to grease the pan or season the flesh. 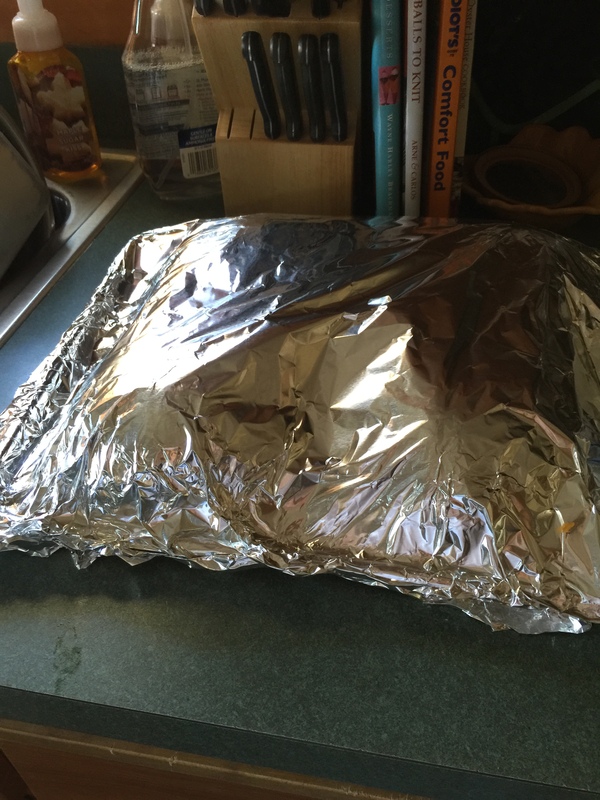 Preheat your oven to 375 degrees and cover the entire sheet with tinfoil. Pop those babies in the oven for an hour and a half then remove and allow to cool. Once cool enough to touch, use your trusty spoon to remove the flesh from the peel and you’ve got pumpkin!! Pumpkin–although absolutely delicious used in a pie–is so versatile. It can be served just as you would serve squash, used to make pasta sauce and, of course, used to stuff ravioli! But my favorite way to serve it is to my chubby doggies! Yup! You heard me! 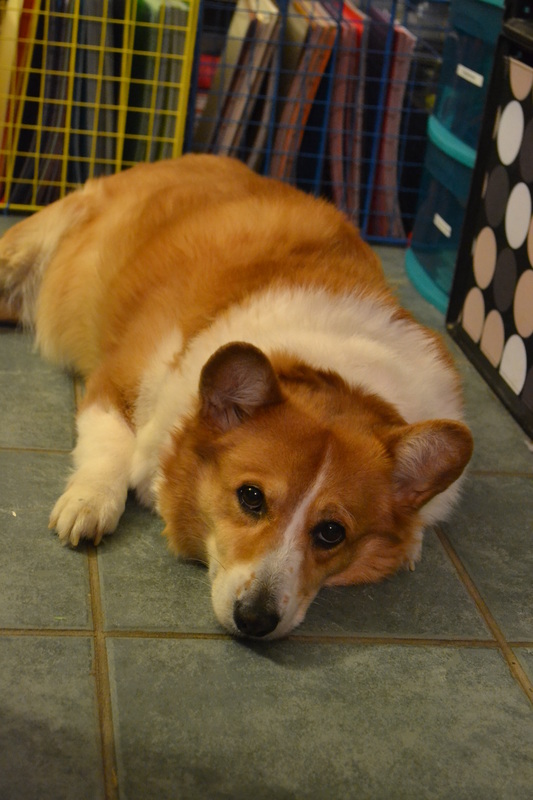 Corgis have a tendency to pack on the pounds if they are not out all day herding sheep or otherwise working for their supper. A spoonful of pumpkin in the kibble is like caviar to dogs and helps their digestion, too! It can also be mixed with yogurt and a dab of peanut butter for a frozen summer treat! Don’t forget to keep those pumpkin seeds and roast them up…or for next year’s crop!